“Bells will be ringing the glad glad news. Throughout this whole series, I’ve held myself to a pretty high standard: no cover songs. Everything had to be originals. (“Green Grows the Holly” by Calexico was grey area and was too good not to include.) Everyone and their brother has done covers of traditional Christmas songs. But that wasn’t going to cut it for this project. I required originality — sometimes off-beat, sometimes sweet, and sometimes instantly classic. Often all three. That said, and setting those standards aside, I’ve known all along that the last two songs (coming tomorrow w/ #23 and the next day w/ #24) would be covers. This one today was supposed to be something different. However… Literally every day for the past 21 days, I’ve found myself humming or singing this song. And specifically this version. Willie Nelson is a national treasure, full stop. And I would go as far as to say that any “traditional” song in Willie’s hands becomes something different. Something singular. Something his own. Willie’s behind-the-beat groove, his distinctive guitar style, and his gravitas, is transformative and revelatory. “Please Come Home for Christmas” was written and originally performed by the blues singer Charles Brown back in 1960. Many a version have come and gone. In 2004, Willie claimed it as his own. The guitar solo around the 2:10 mark. The languid vocals. The warmth. 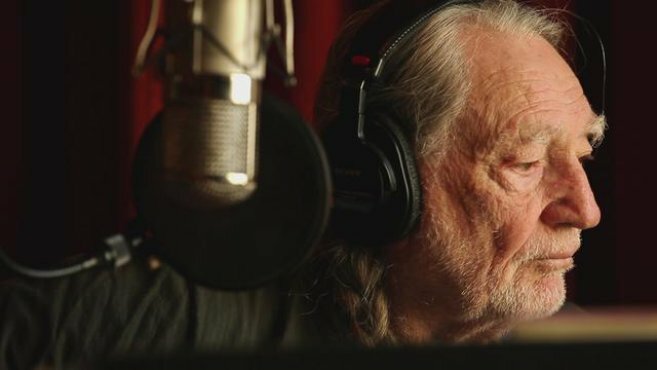 All within the context of a song that is inherently sad — but yet Willie imbues it with hope and drive and purpose. This thing has broken me down and built me up and took its place on this list by sheer force of will. And I’m happy to buckle. I hope you enjoy it as much as I have.